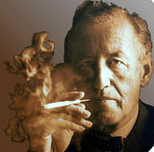 On Ian Fleming’s 104th birthday, he will hopefully be pleased to have got himself into the smart phone app market! Latest intelligence gathered in the field has come up with this lovely little app for James Bond collectors. 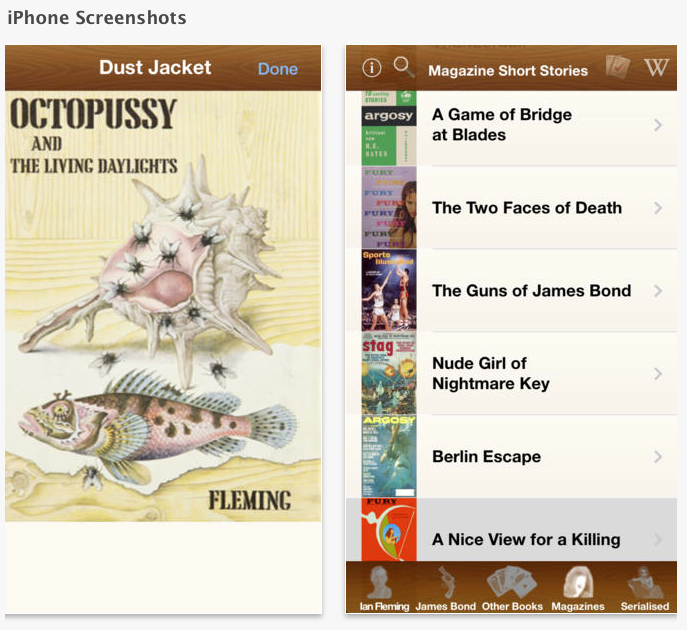 There are quite a few James Bond apps on the market but very few dedicated to Ian Fleming, not least for collectors, so this leads the pack. What I like about the app is it’s usability, information on very obscure Fleming material and a way to keep track of what you want to own on a personalized wish list. A “Field Guide” aid for helping book collectors to visually identify the First Edition novels and other writings of Ian Fleming. 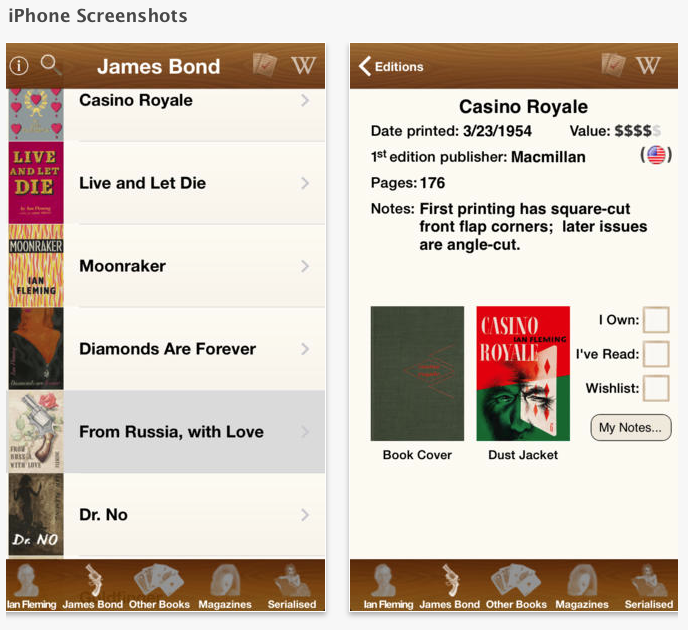 The app includes all of the UK and US First Editions of the James Bond series and hard-to-find information including another 23 other books, 34 magazine articles, and 13 newspaper serializations of stories – most of which are rare and very difficult to obtain and in some cases the first I had heard of. – User customization; including chronological or alphabetical ordering of lists, etc. Thanks for your cool comments on my app (it was a lot of work!). I need reviews on iTunes! Thanks! I will continue to update the app, port it to Android, and add features; so feedback and emails are welcome.